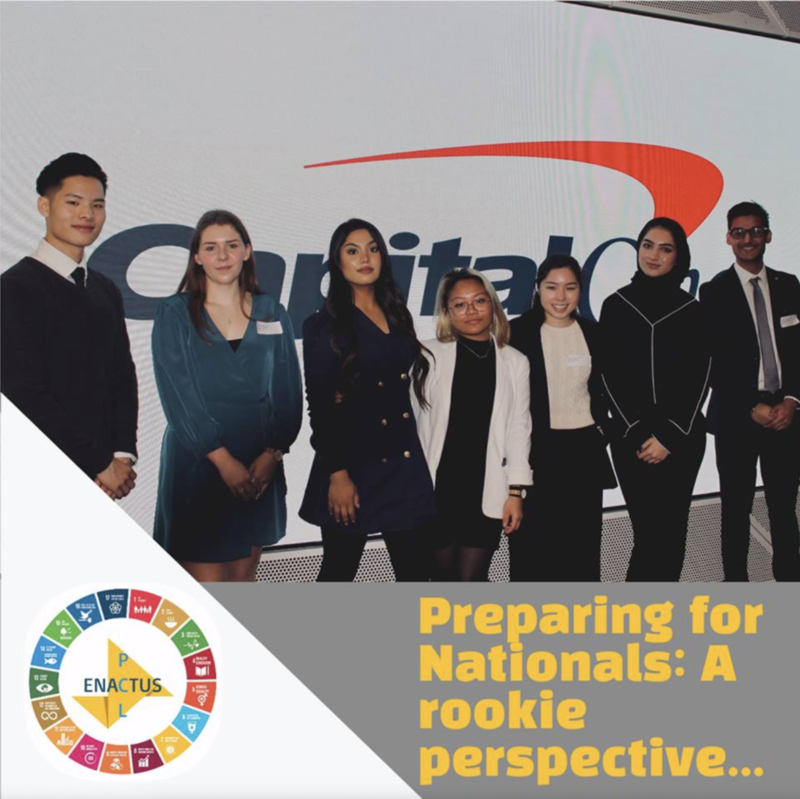 Enactus PCL are a brand new team this year with 53 active members in our team giving us a real kickstart to the Enactus programme at Pearson. We are thrilled to be a part of this years nationals, competing for the first time and we can’t wait to see and learn from all the amazing things all the teams have been up to! Being a Rookie Team, regionals was the first times we have received feedback from judges…we realised we had a lot to learn! From our point of view the Enactus way of presenting, and understanding what the judges are looking for was totally new to us, but we have embraced the challenge and preparing for nationals has given us a chance to learn about the way we gel together as a team, giving us an opportunity to learn how each member can bring something positive to our team and enable us to perform at our best by bringing all of us together; especially with the presentation, as a team we can collaboratively bring everyone's creativity and visions together. Here at PCL we have developed a team culture that encourages members to step in and get involved wherever possible, this has enabled us to delegate and split up the tasks so as many people as possible have benefitted from the learning experience preparing for competition has been. Lastly, We’d like to say good luck to all the other teams competing this year, let’s all go out and smash it!